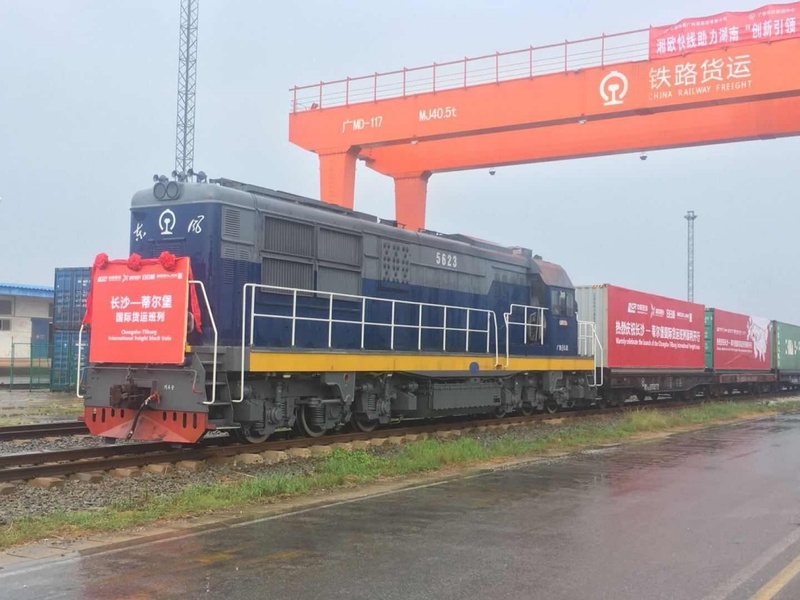 JSC RZD Logistics, the largest multimodal logistics operator in the CIS and Baltic countries, organized the shipment of a container train across the route Changsha (China) – Tilburg (the Netherlands). This new railway service was developed in cooperation with a Chinese platform company Hunan Xiangou Express. Regular container shipments across this route are expected to be organized twice per month. On August 17th, the train consisting of 41 40-foot containers with fast moving consumer goods (clothes, accessories, office supplies) departed from Changsha station and will go to Tilburg across the territories of several countries – Mongolia, Russia, Belarus, Poland and Germany. Expected transit time is 16 days. “With being an authorized coordinator of international transit across the territory of Russia in Russian Railways Holding, RZD Logistics evaluates the most promising business projects and follows the tendencies on consumer markets of Russia, China and Europe. Today we see that Changsha is gradually transforming into the center for the consolidation of cargo from Central China. It has good perspectives of growth, due to the development of certain sectors of economy. Tilburg, on the other hand, is the Netherlands’ second largest transport logistics hub, equipped with modern infrastructure necessary for handling large cargo flows coming by transit trains. By means of connecting these two cities, a new service will definitely contribute to the development of Russia’s transit potential”, – noted Sales Director of RZD Logistics Olga Stepanova.